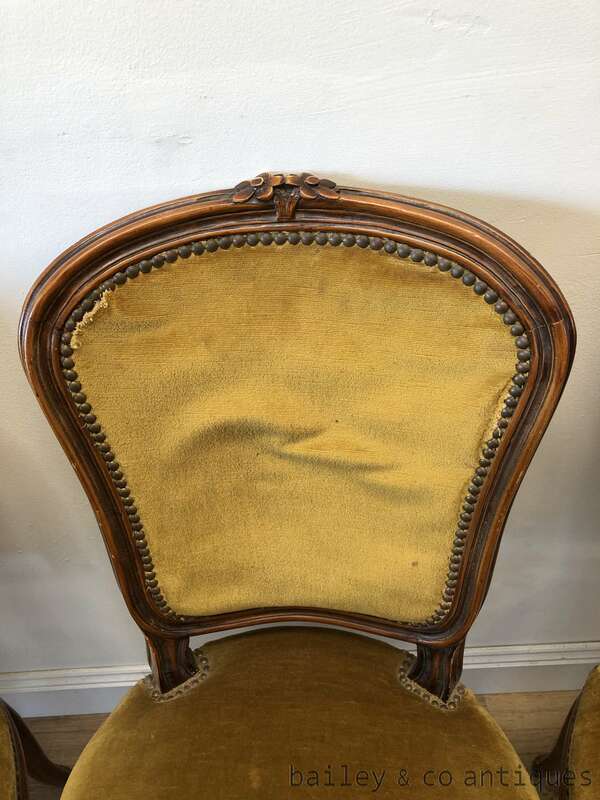 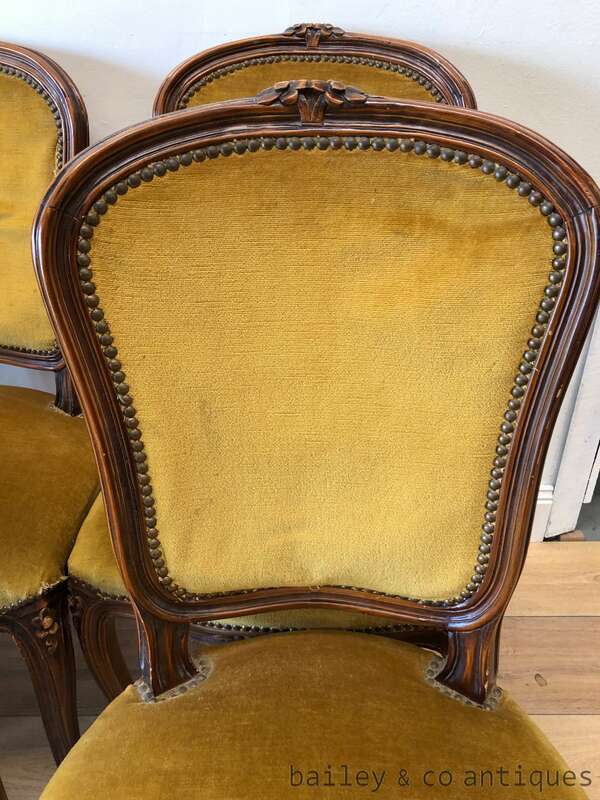 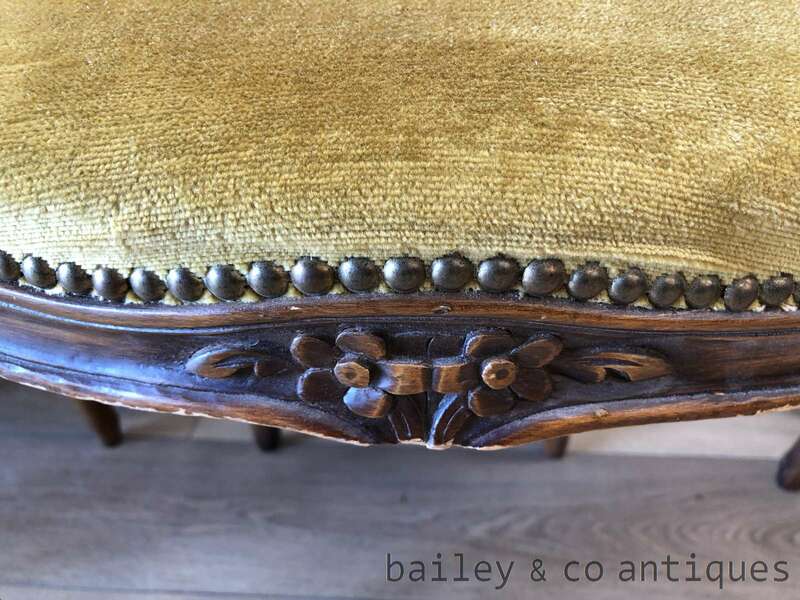 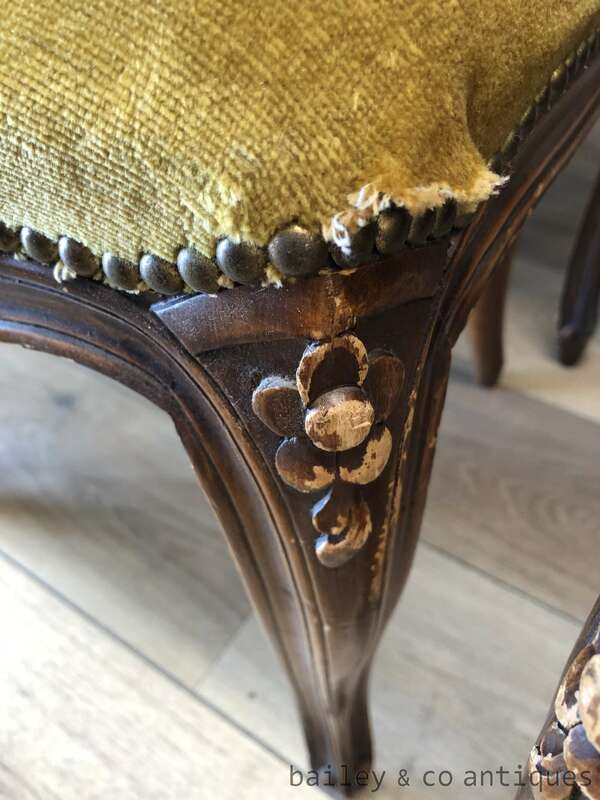 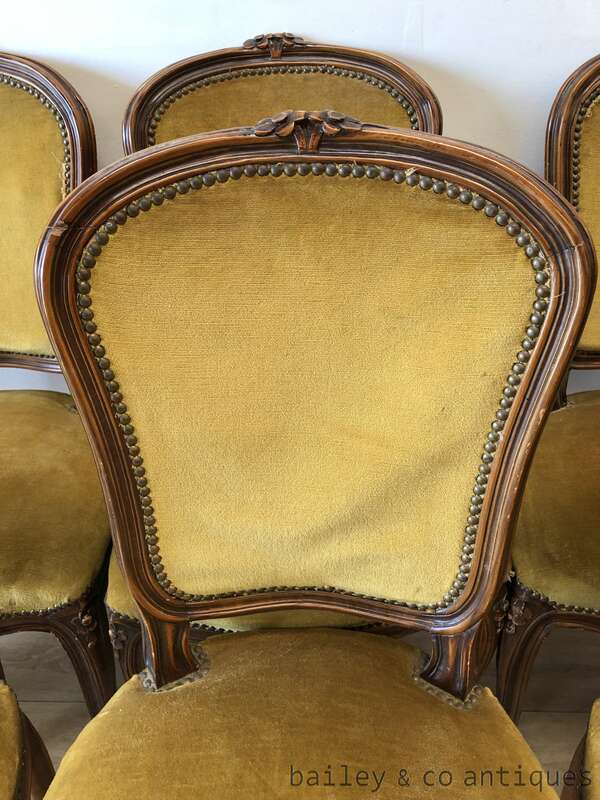 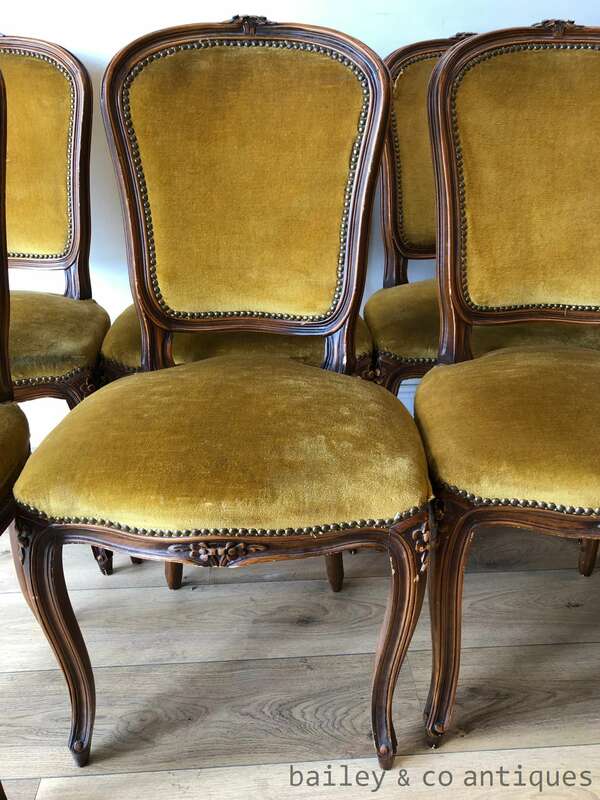 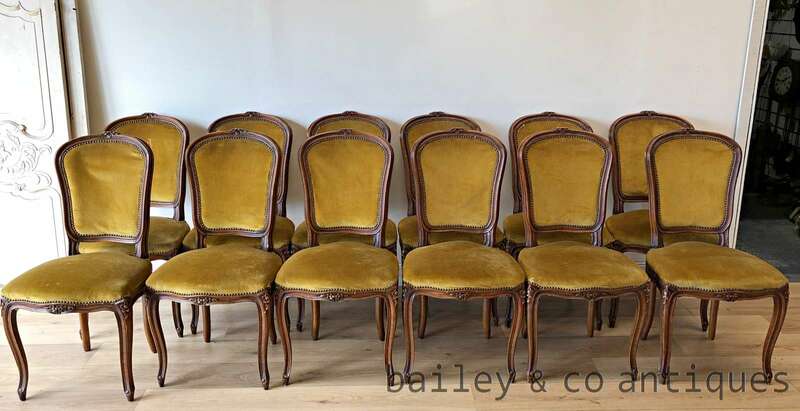 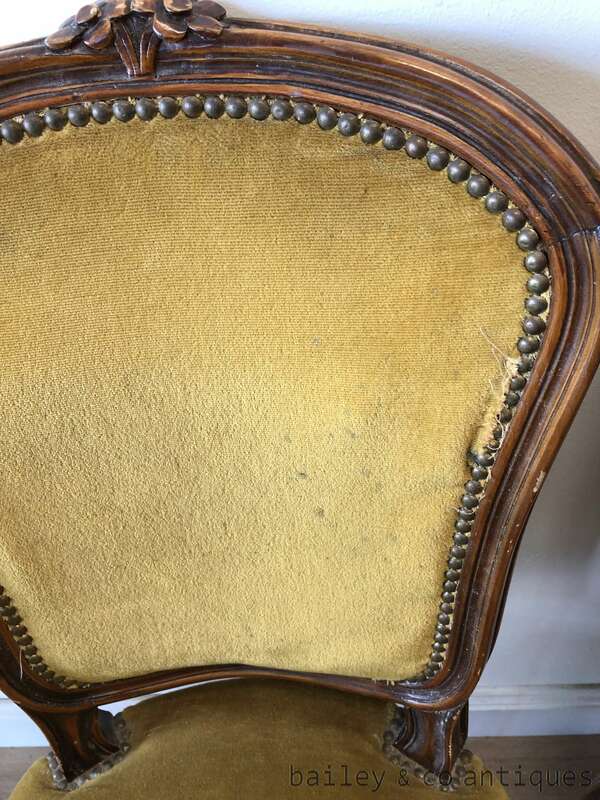 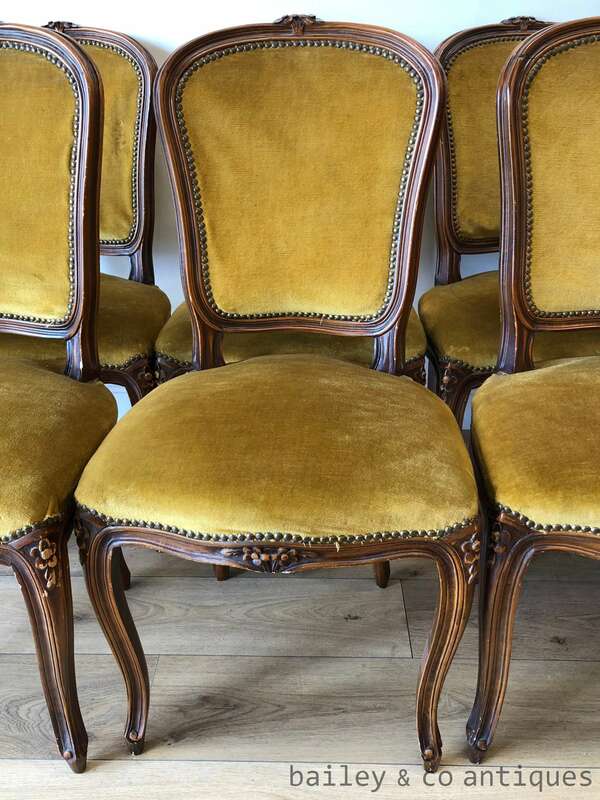 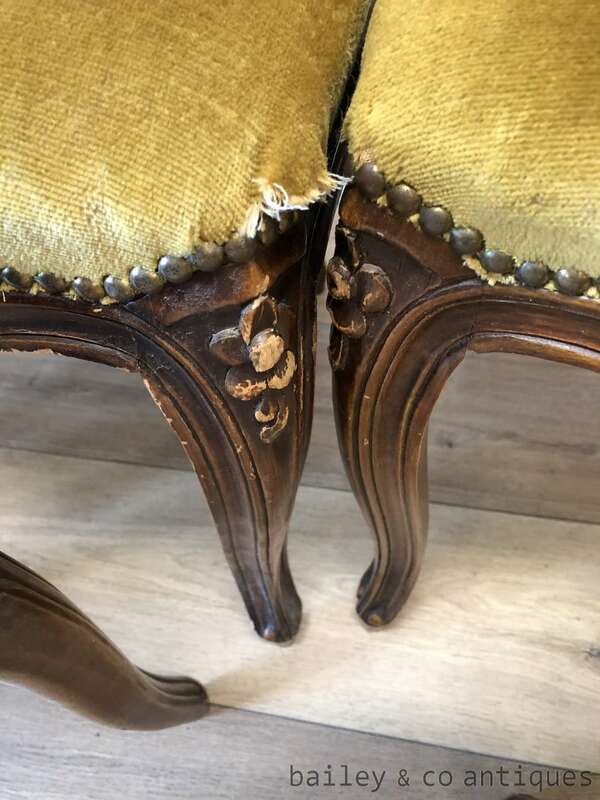 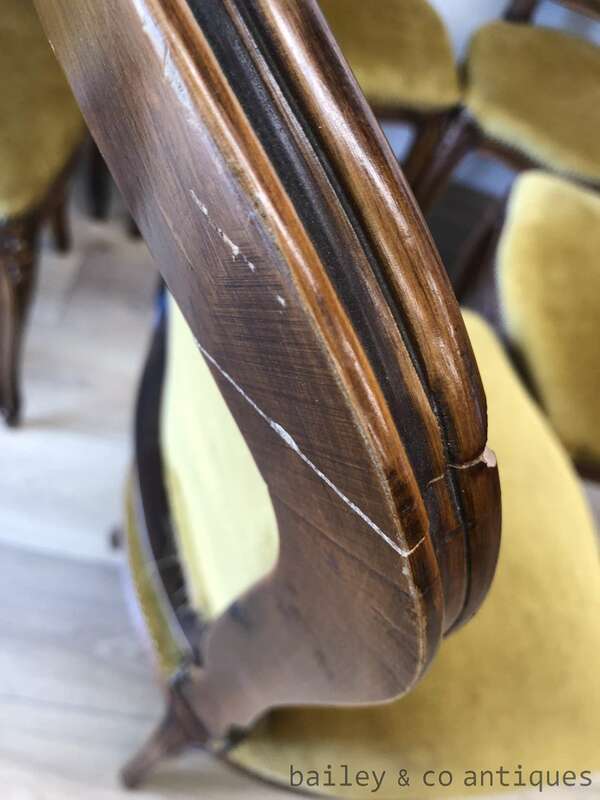 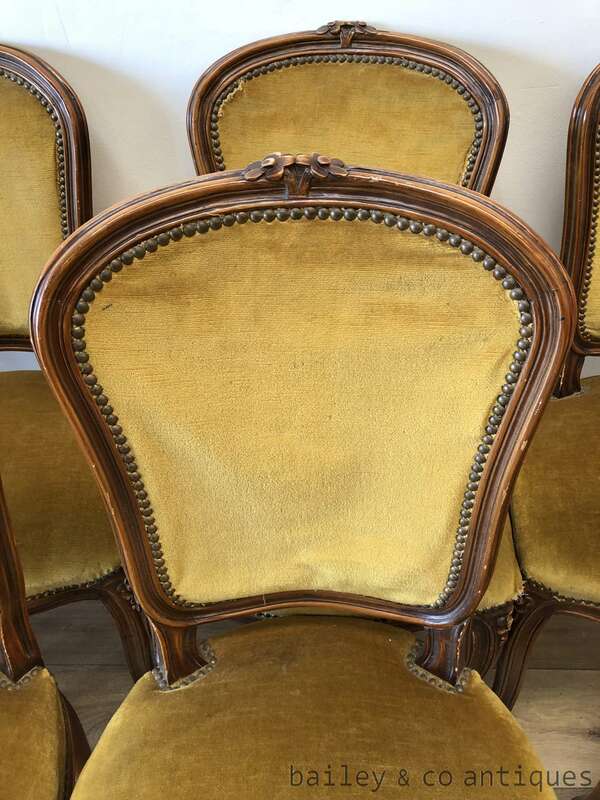 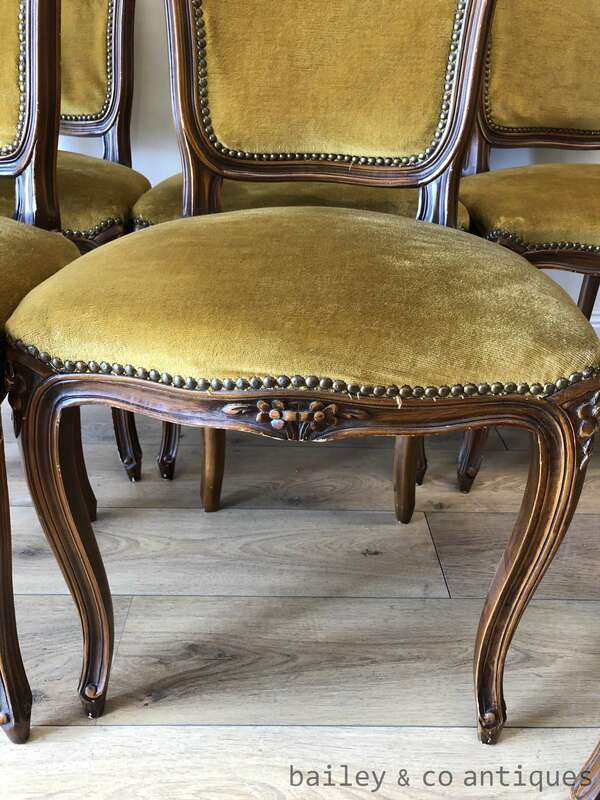 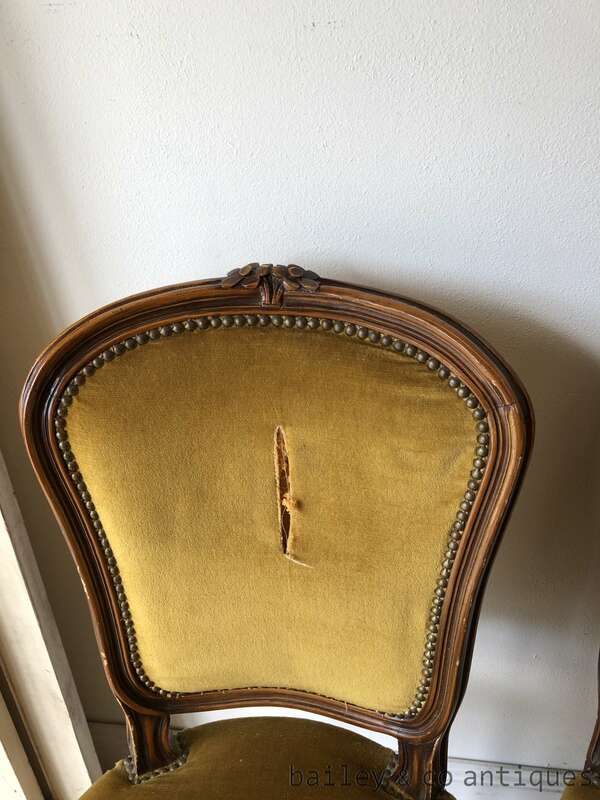 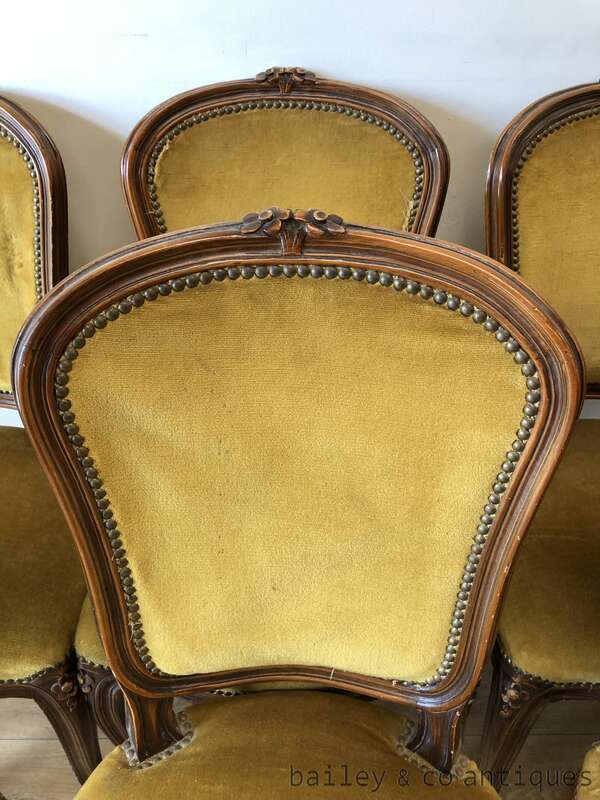 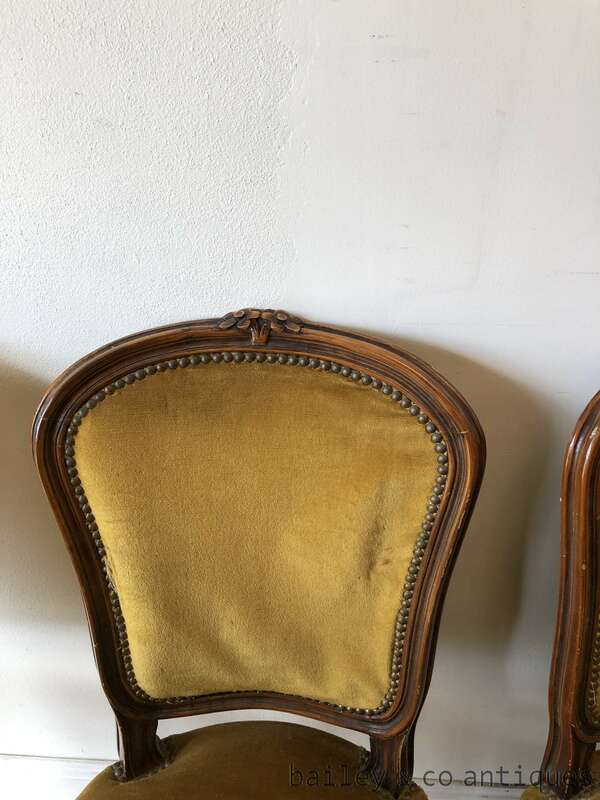 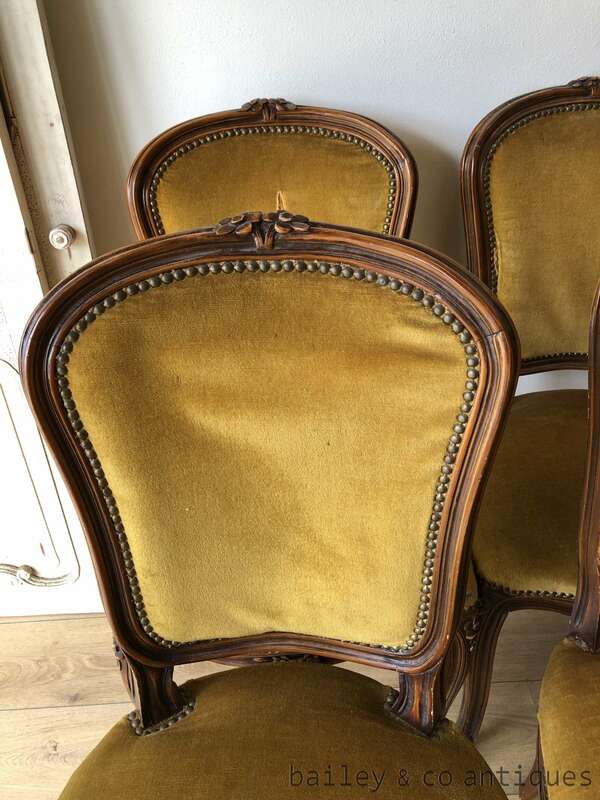 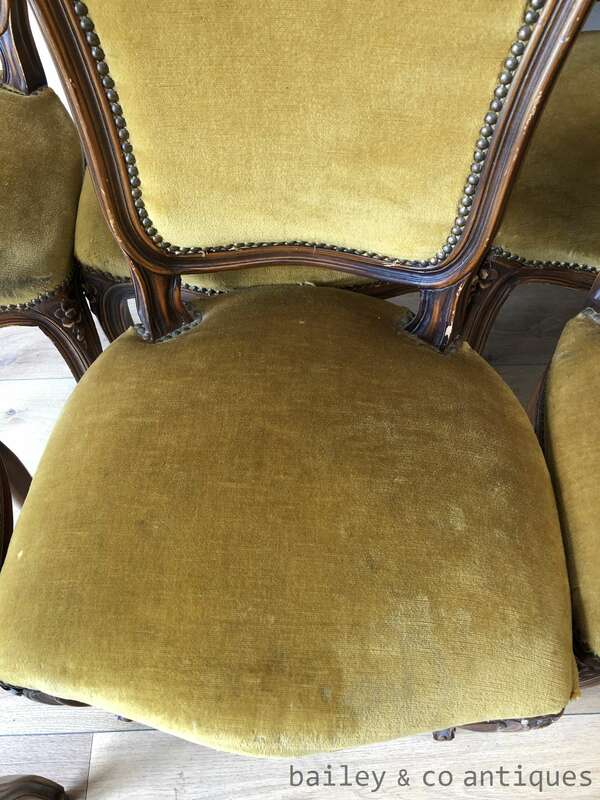 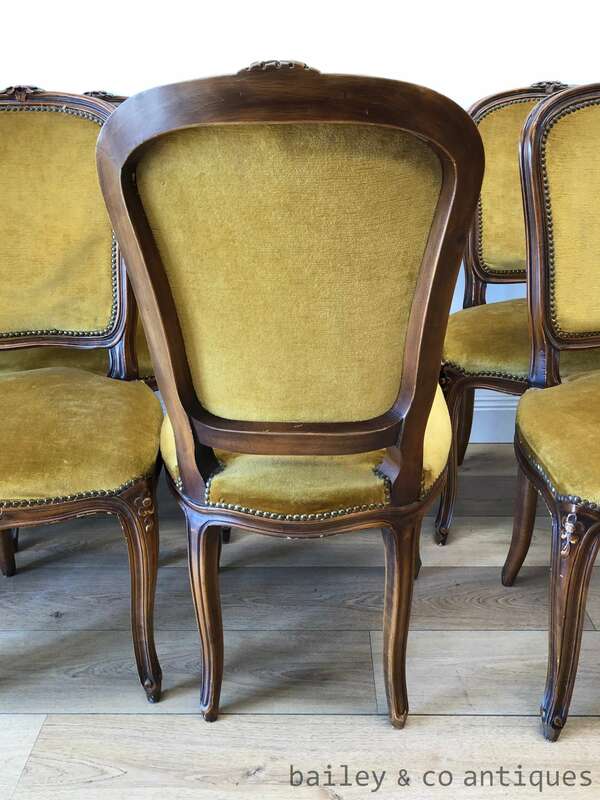 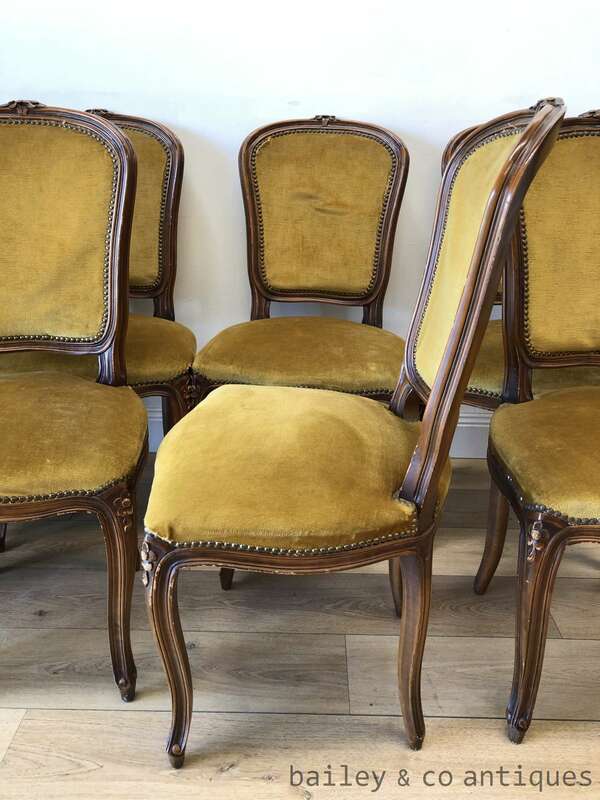 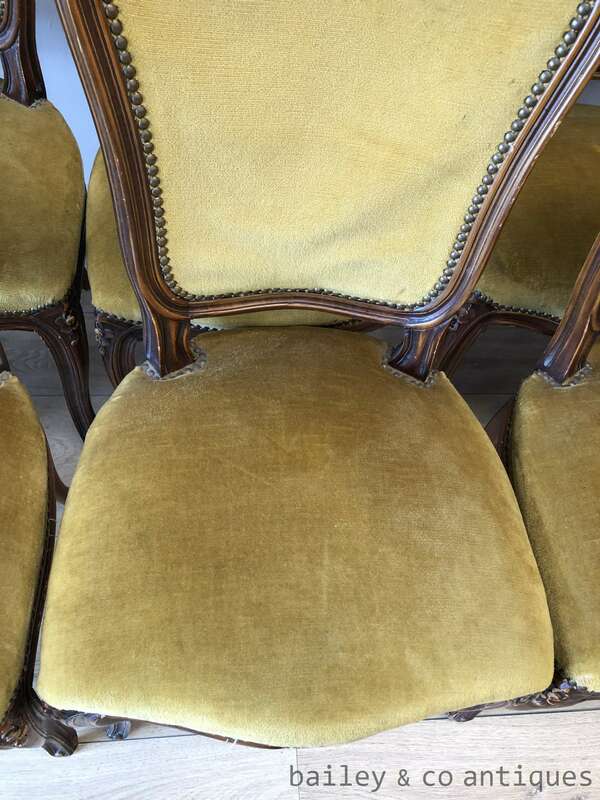 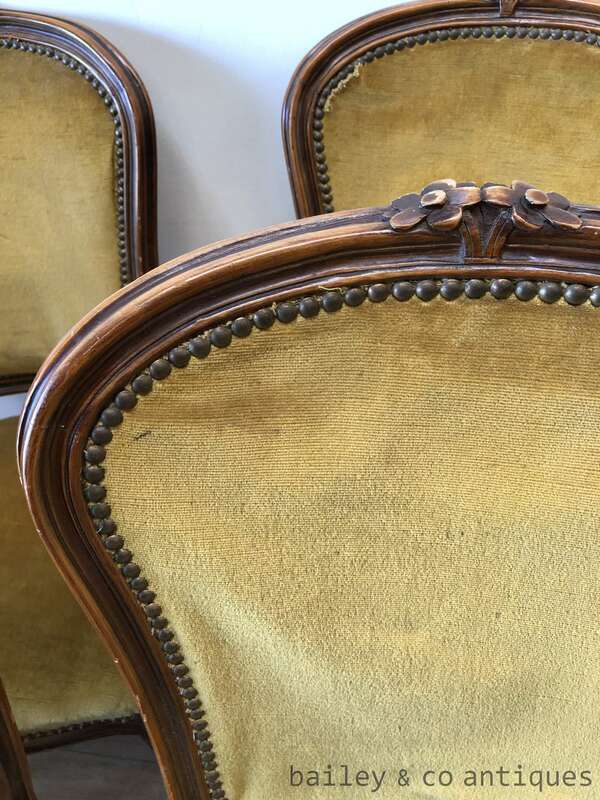 An extremely hard to find set of twelve French Provincial Louis styled dining chairs which, (as shown,) need to be re-upholstered. 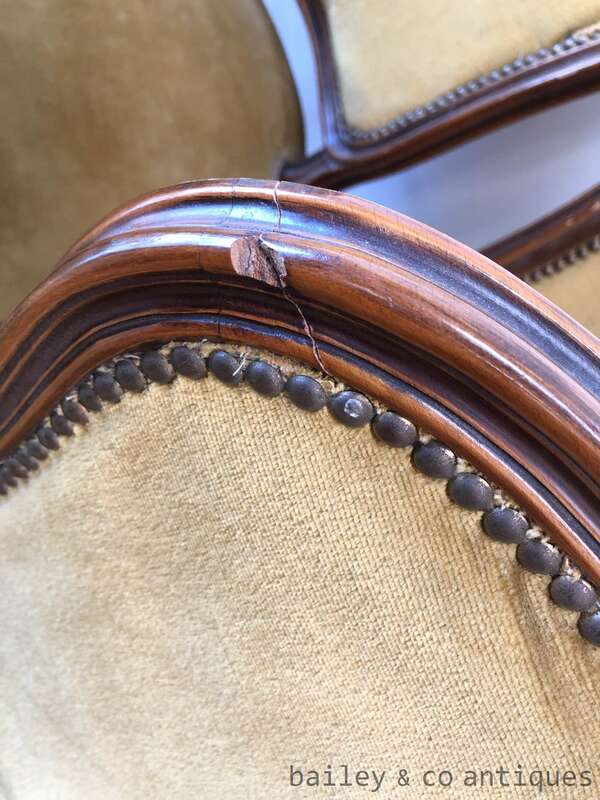 These are all sturdy chairs and only one has a chip and separation on the back as shown which is an easy re-glue and fill. 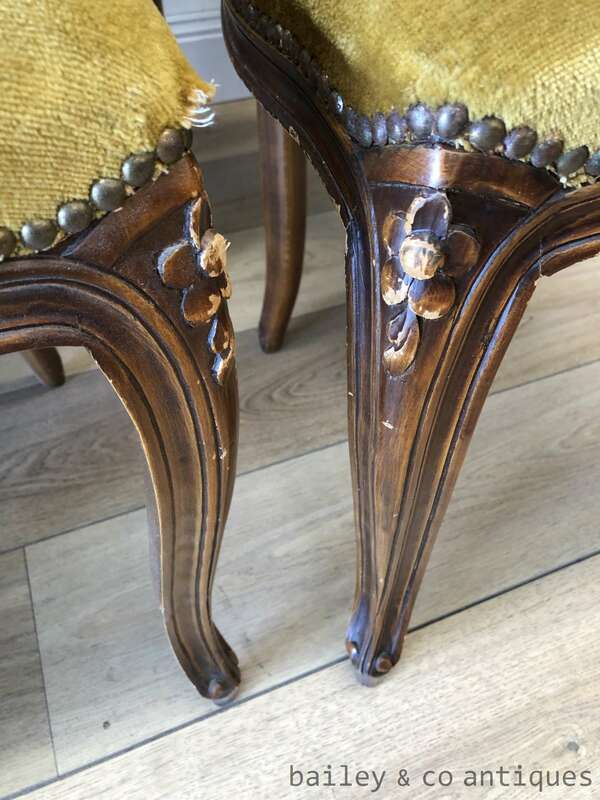 The carvings are especially lovely.